There are some tricks to save money during the holiday season, but Valentine’s Day can be difficult to avoid. Barely has the confetti settled from the New Year’s celebration when promotions for Valentine’s Day began popping up in my inbox. Victoria’s Secret wanted me to hurry and purchase a red lingerie set for my Valentine and receive free shipping. Opentable wanted me to make sure I reserved a table for my loved one before it’s too late. Florists, jewelry stores, restaurants – you name it and I’ve received a promotional email marketed towards Valentine’s Day this past month. Heck, Toms even offered me 20% off for their shoes. Overwhelmed with a cluttered inbox of sales and promotions, I found myself with a distaste for Valentine’s Day. Christmas already left me feeling like I’ve shopped for the sake of gifting and receiving gifts I don’t need. I was not ready to partake in another “Hallmark holiday” where consumerism is shoved down my throat. 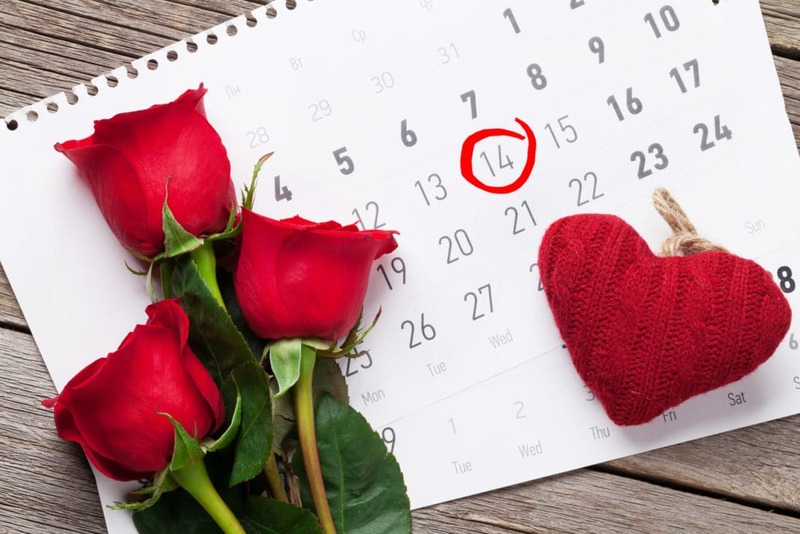 Valentine’s Day is an annual holiday celebrating love that dates back to the 14th century. It eventually evolved into an occasion where gifting was the expression of love. According to Statista, this “expression of love” escalated to hit a record $19.7 billion in sales in 2016. I am not one that disapproves of the expression of love. In fact, I am a happily married woman who (ironically) enjoys gifting. It’s not that I don’t want to buy lingerie (I just look awful in red), nor do I want to avoid a date night out with my husband. It’s just that Valentine’s Day falls on a weekday this year – a difficult task when you have kids. I do not want chocolate (we have a two-year-old and I am still trying to squeeze into my pre-pregnancy jeans) nor do I want a piece of jewelry (that I’ll never get to wear since my son will yank it off and flush it down the toilet). I want to celebrate love, but the reality of life and its schedule makes it difficult for my family to enjoy the 14th of February. That is when I realized that we could embrace love and celebrate it in a way that actually means something – where there doesn’t have to be a particular day that enslaves us in the vain consumerism of Valentine’s Day. 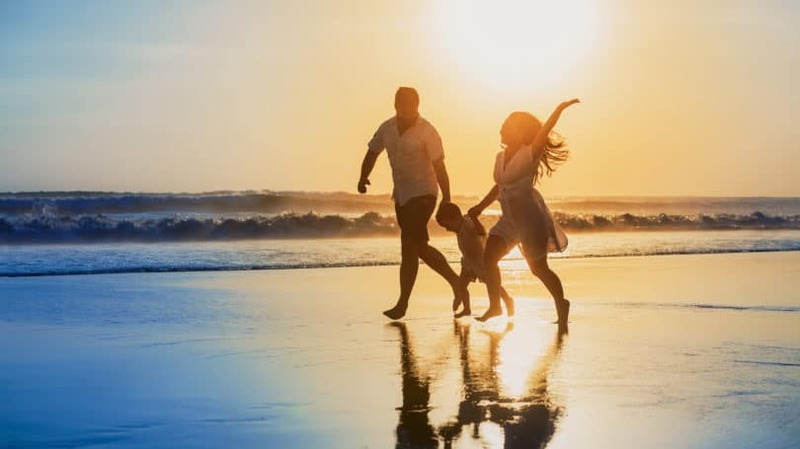 Below is a list of alternative ways to celebrate love anytime you want with your significant other, many of which can also incorporate your children (who are sponges and will soak in how their parents treat each other and show love). Taking a moment to step away from your everyday life is a great experience for you and your significant other. If you’re like me, you also travel with your children. There is only so much I can teach my son, and there is no better way to learn than to travel and explore unfamiliar grounds together. There are plenty of ways to find cheap weekend getaways. Find a time when you can all take a breather, or go when the rates are the cheapest. 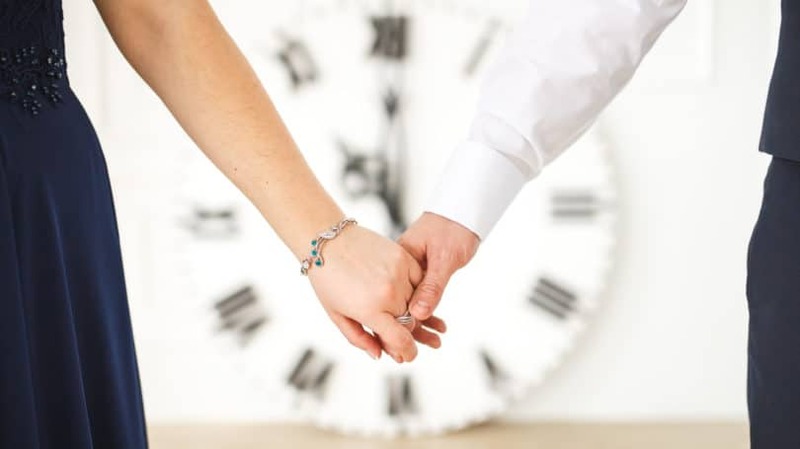 Either way, it’s the time together that matters. Instead of going out, how about spending quality time preparing a meal together? Group effort cuts the actual work time in half, and it’s something that you can do with your children as well. 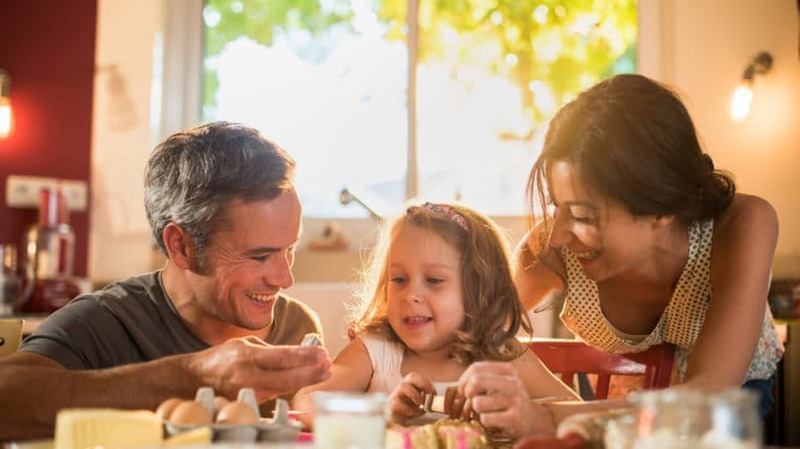 Gender roles may be something that they learn in school or from the media, but sharing responsibilities in a singular activity will allow them to see that cooking can be a fun, rewarding activity for all. For some low-cost meal ideas, check out these cheap and easy meals for families. I was part of a book club once. It was full of sharing, laughter, and wine. What I loved most about it was listening to different perspectives and being able to not only read more books, but learn to understand the women in the club as well. 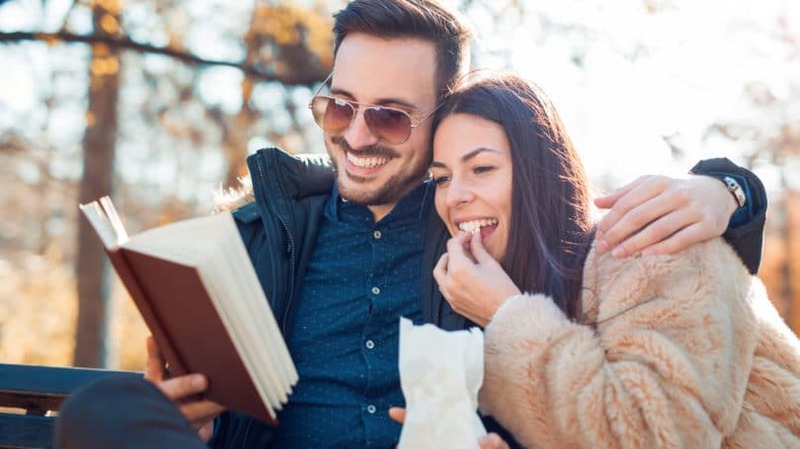 How great would it be to read a book together with your spouse and discuss things that provoked your thoughts and questioned your perspectives? You can also do this with children so that they can learn that these different mindsets aren’t meant to be combative, but to be more understanding of each other. A popular event these days is painting with wine. Couples, bachelorette parties, and friends gather to paint while imbibing on their favorite sauvignon blanc. 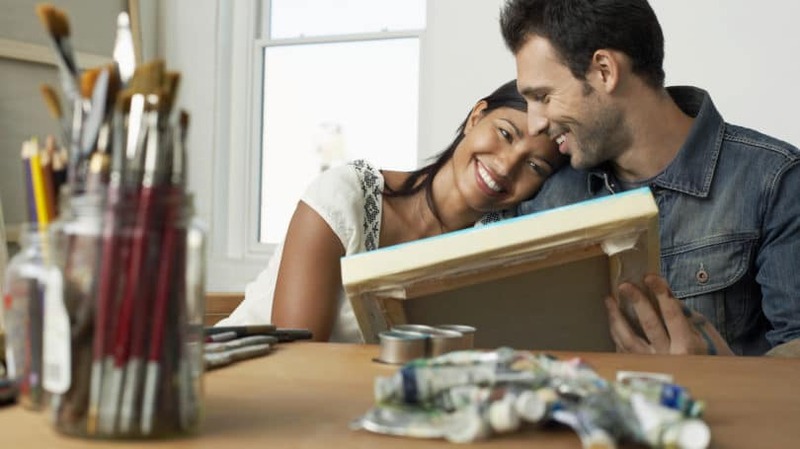 Whether at a studio or at home, selecting a work of art to replicate while channeling your inner Bob Ross is a great way to unwind while spending quality time together. Let it be known that I am not the biggest fan of sports. However, I have witnessed my husband’s fandom, and that is what I can be a fan of. He is passionate about his alumnus, the Indiana Hoosiers, as well as professional teams like the Giants and the Mets. 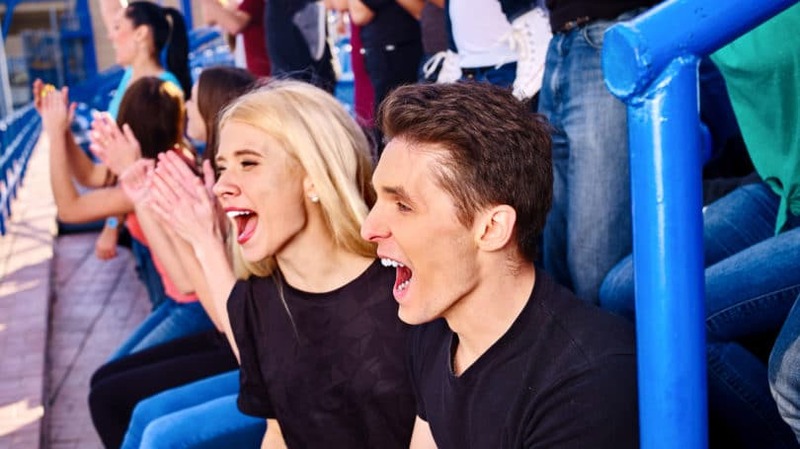 The camaraderie my husband and fans have for their favorite team is intriguing and also electrifying. Since our son was three months old, he couldn’t contain his excitement when attending games at Citi Field. I may not be the biggest lover of sports, but the ability to partake in a team passion really impassions the team that is my family. How about celebrating love by paying it forward? As advanced as technology and capitalism have become, there are still places and people who are living in circumstances where simple necessities are not available. 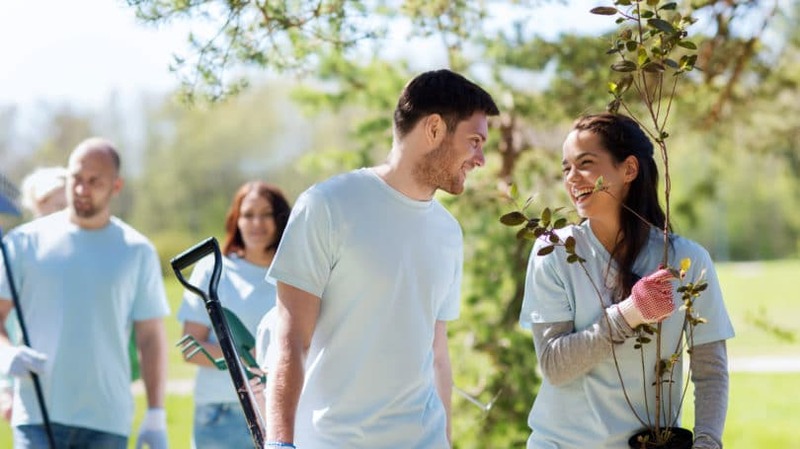 I firmly believe that volunteering to serve with your significant other and children is an excellent opportunity to be humbled yet learn how impactful your act of love can be. Habitat for Humanity is an organization where you can either make a monetary contribution or you can physically help them build homes across the nation. World Vision has a vision to end world hunger amongst the children across the globe who has been affected by famine, flooding, terror, and other events. Your monetary donation can go to an array of categories. Involving your children, showing them what hardship some kids their age have to go through, and allowing them to choose where the donation can go to is an engaging activity that creates acknowledgment and sparks empathy. Find any local soup kitchen that needs help serving the homeless. Direct communication with those you serve adds an extra layer of human interaction, where you can directly speak to the homeless and be able to spread words of encouragement and hope. For more ideas, check out our 10 best places to volunteer. 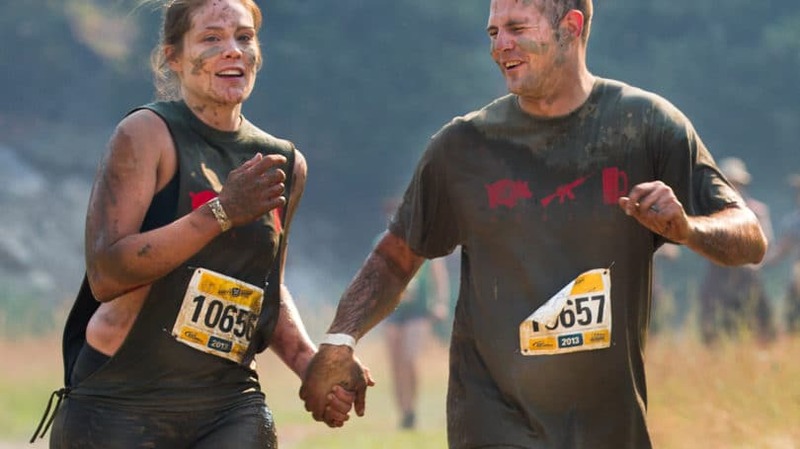 There is no other word that comes to mind when picturing yourself crawling through mud, climbing walls, and jumping over fire than “love.” The Spartan Race is held all over the United States in large arenas and stadiums. It involves obstacle courses that push racers physically, often beyond what they thought was possible. What makes so many people gravitate towards this brutal event is the amount of adrenaline and synergy you absorb from your teammates and competing members. There is nothing felt when crossing that finish line with your significant other than pure relief, joy, and disbelief of what you’ve accomplished. That synergy is addicting, and you’ll find yourself signing up for the next race. It’s no secret that relationships take work. Throw children into the mix and it gets even tougher. The best way to celebrate love is in the grind of everyday life. Commit to doing something out of love for your significant other or family on a daily basis. Whether it’s getting up early to cook a hot breakfast for your family so you can spend quality time together, or writing “I love you” on a post-it attached to the sandwich you packed them for lunch, these little acts of love show the receiver that you treasure them. That’s often the best gift you can give. It’s important that you celebrate love with your loved ones. But don’t contain the love in a box called Valentine’s Day. According to the National Retail Federation’s Valentine’s Day Consumer Spending Survey, as lucrative as the holiday is, it is only celebrated by 54.8% of Americans. I don’t think that the rest are anti-love; they might just be like me and want to take love into their own hands, celebrating it in a way that is genuine and thoughtful.